Grind cooked oats with 1/2 cup of milk. Add broken mysore pak and grind again. 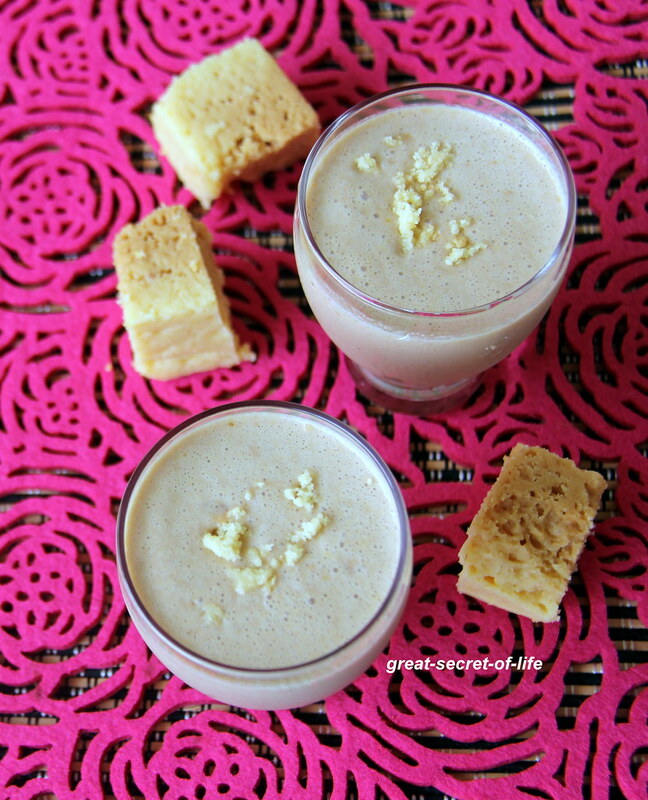 Wow, that's an interesting recipe, using mysore pak in milkshake.. 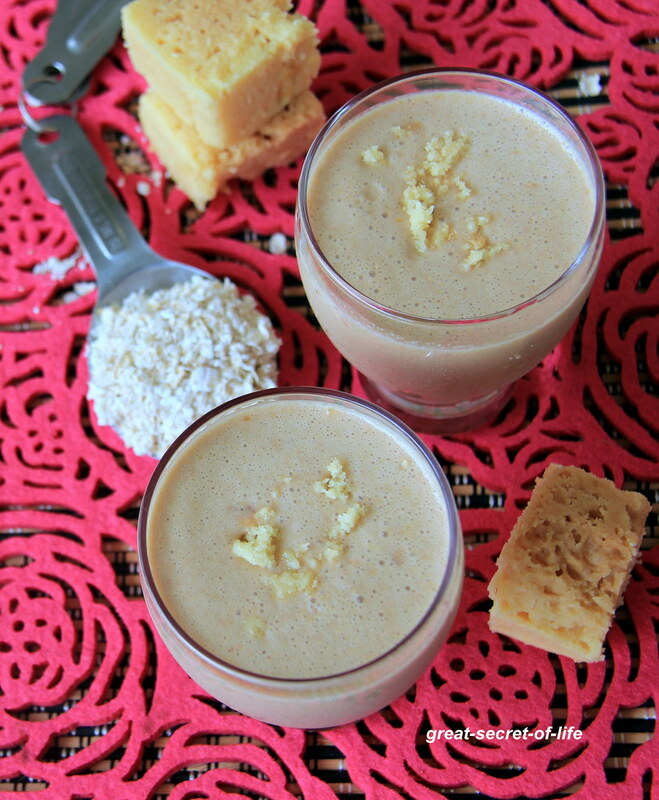 I love the twist of mysore pak into a milkshake... yum! 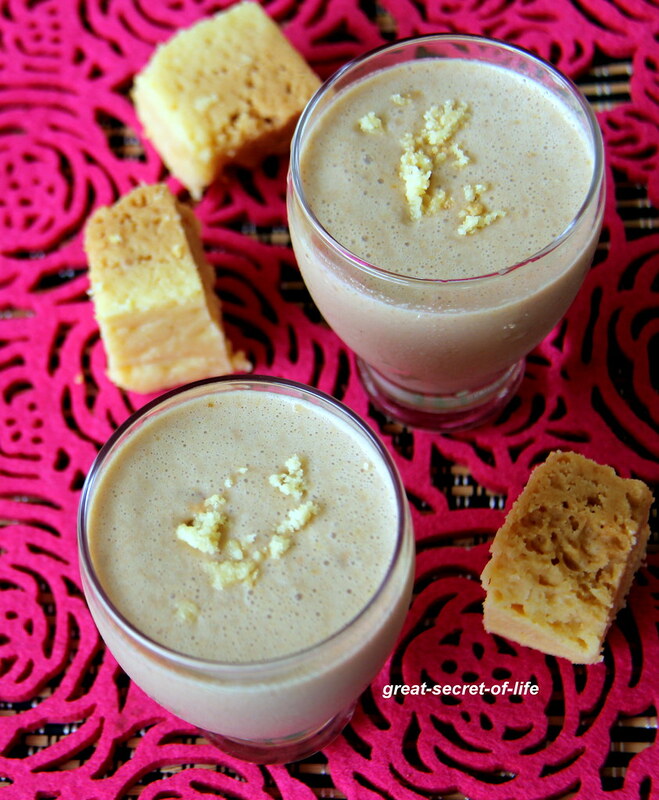 ah ha wat a interesting drink :) looks so yummy and rich :) I would love to have this milkshake with the ghee flavor in it ..
That is delicious, who can say no to mysorepak and oats. you are genius.